Boarding pets are routinely fed twice a day. We provide high quality food but recommend owners bring their pet's food for us to feed while boarding. Dogs are walked outside three times daily (twice daily on weekends) for exercise and to relieve themselves. Our staff can administer medication (additional charge) or provide special feeding or care when necessary. 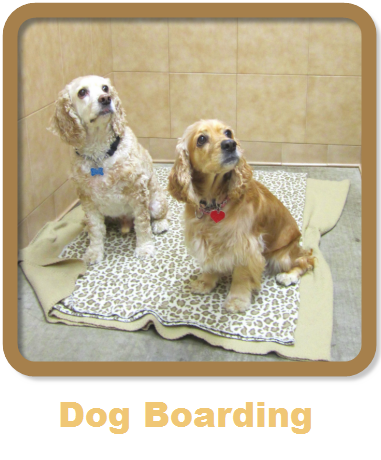 Small dogs can be boarded in small condos or can be housed in the larger runs (run charge applies). Two dogs can be boarded separately or if they get along well, they canbe together in one run. Our runs are 4’X6’.